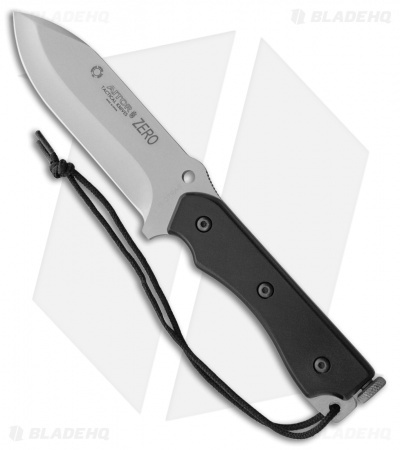 The Aitor Zero is a fixed blade knife that has many indoor and outdoor uses. Matte finished, Mo-V, drop point blade. Black, Phenolgraf wood handle, removable fire starter, black cord lanyard attached. Black Codura sheath, can be worn vertically or horizontally.